Martyn has many years experience in the entertainment business and has spent many years putting this show together with the latest technology. Having started in the late 70s his knowledge of music through the decades is superb. The show in it's current format has been running for over 3 years and booked in 2014 for a wedding in ITALY. 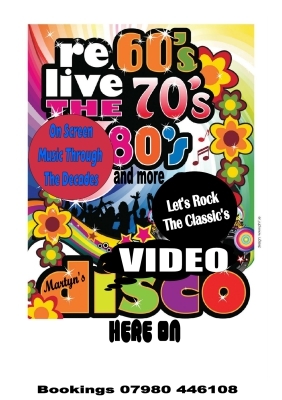 Imagine a DISCO with the original Stars performing at your event, well thats how it feels. BIG SCREENS, QUALITY SOUND, GOOD LIGHTING, LETS HAVE A NIGHT TO REMEMBER.